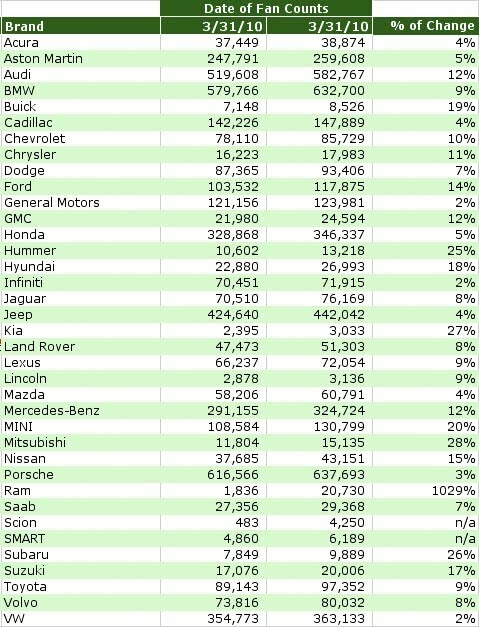 Welcome to the all-new less committal Automotive Facebook “Likes” by Brand monthly report. In case you haven’t kept up with the monthly changes in Facebook-land, the company decided to remove the Fan distinction and move to a Like action that people can do on a brand page. So that Ford Mustang you were a huge fan of, guess what? Now you just “like” it. Oh well, maybe one can show their enthusiasm in other digital ways, perhaps by doing something we all did long before Facebook existed – add a picture of their favorite car to a computer’s wallpaper. Now that’s being a fan! 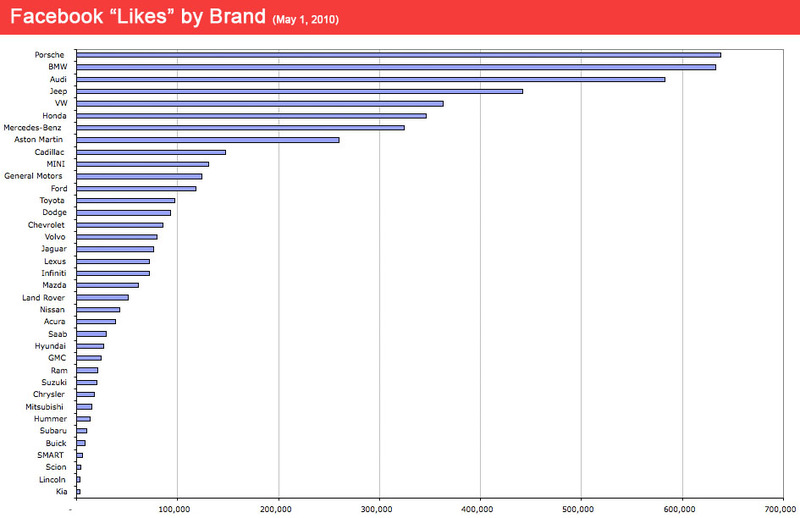 So who convinced the social community to really, really Like them the most in the month of April? 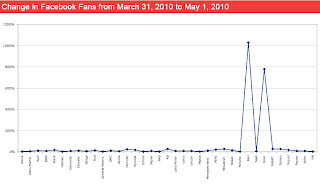 Two brands definitely standout and both are very new to the Facebook fan page world so they have some major growth percentage-wise mainly because they are starting from such low fan count numbers. Scion had a user community fan page converted to “Unofficial Scion” last month only to come out with their own page in March. 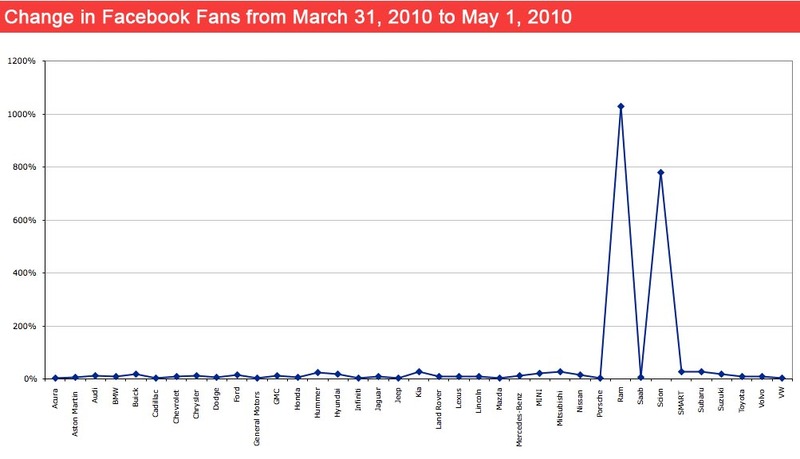 In April, Scion drove up fan numbers running some simple Become a Fan ad units; thereby, increasing their fan count by 780% in April. So who beat a 780% growth in one month? Some big trunks with menacing grilles: Ram had 1,029% growth with 18,894 fans added in one month. Ram also had Become a Fan ad units run in April to help generate such impressive growth. 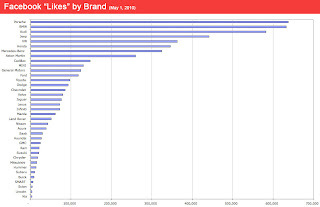 All of the Chrysler brands are making a strong push to advertise for fans over the past several months with major ad buys from Ram, Dodge and Jeep. 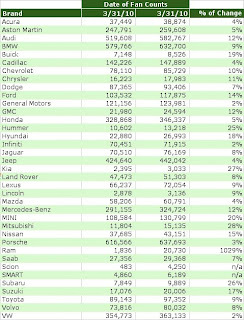 Other than a lot of changes with Facebook’s change from Fan to Like, the month was mostly uneventful for the automotive world on Facebook.